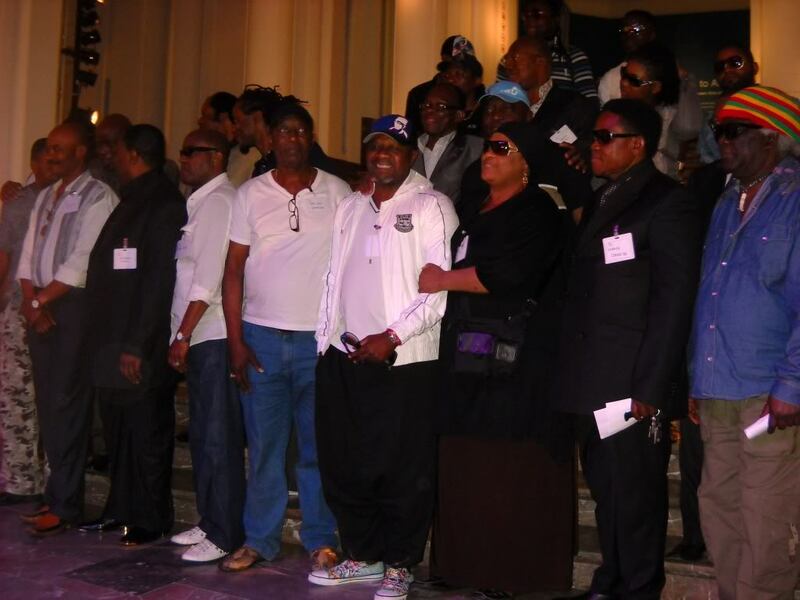 An historic concert was held in Belgium on Friday night that celebrated 50 years of Congolese independence and 50 years of Congolese music. For those of us who could not attend, I played a number of the original versions of the songs in the original set list for the concert, songs chosen and performed by artists still with us today to represent the rich history of Congolese music. The concert was over four hours long and and I had only half that time for the program. I hope to give you here a taste of the inspiring music these artists had lined up to give their audience a night to remember. The songs here are all be songs available on CD in hopes that you will be able to get them for yourselves. Thanks to Dr. Frank for posting the concert's playlist, the playlist from which this program has been assembled. Thanks to Dr. Frank also for this pre-concert photo of a number of the artists present. so I may not have presented the exact songs actually played. This will be available for two weeks. Aftter that, find it in the Ambiance Congo Audio Archives. Great stuff Sir, many thanks for this compilation. Apurva from Pune, India. The credit goes to the artists who compiled the tracklist for the concert. I apologize that there is some small amount of static this time. Thanks Daudi your shows are always great and this one was indeed!!!! kindly play me "5 Ans ya Fabrice" by Franco and his TPOK Jazz!! 5 Ans ya Fabrice. Sure thing. Thanks for your request. I'd l;ove to know who to send it out to! Thanks for the phenomenal music! Thanks to YOU for listening and for letting me know. Requests are always welcome as well.